ABOUT THAT NIGHT shortlisted for Canadian crime award! 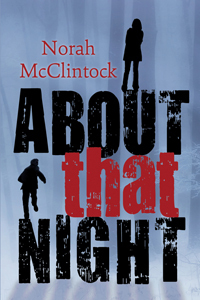 ABOUT THAT NIGHT by Norah McClintock is shortlisted for the Crime Writers of Canada 2015 Arthur Ellis Award in the category Best Juvenile/YA Book . McClintock has already won the Arthur Ellis Award five times. Will ABOUT THAT NIGHT be her sixth? Previous Post THE SCULPTOR is still a bestseller! Next Post Three First Second Books Nominated for Prizes in France!